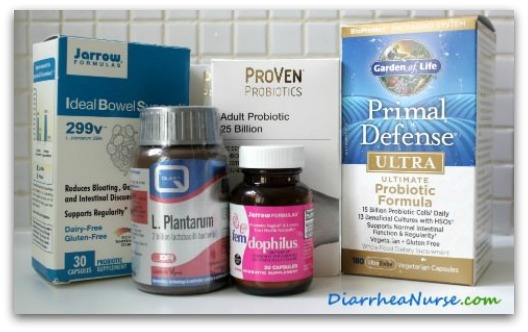 Diarrhea remedy - do you use what your grandma recommended? These days we tend to take the advice of doctors but should we dismiss home remedies for diarrhea from the past out of hand? It is true that some traditional home remedies we would not use today as we know them to be dangerous or ineffective. In the past a good dose of mercury or arsenic or even both together would be taken to treat a range of illnesses. People would give their babies gin to help them sleep and men would rub their bald spots with onion to try and make their hair grow again! Or did you hear the one about soaking a handkerchief in vinegar and placing it on the forehead to cure a headache? That is from my husband's family and although it may provide a cooling effect it sure didn't cure my headache! This does not mean though that grandma got everything wrong. There are some diarrhea home remedies that you can use at home today that people swear by and one does use vinegar! This article includes a range of things that people have found helpful in treating their diarrhea. So if you are looking for a home remedy for diarrhea read on to pick up tips and tricks that could help you if you are suffering from the dreaded runs. Tannin has an anti-inflammatory effect and when we have diarrhea the wall of our intestines is usually inflamed. Tea which is high in tannin can therefore have a soothing effect and is one of the good natural remedies for diarrhea. The tea will also help to replace fluids lost when you have diarrhea. 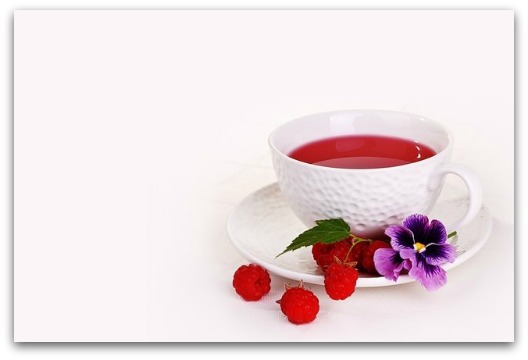 The teas which have been shown to help the most with this are black tea, blackberry tea and raspberry tea all with a little sugar or honey added (do not add milk). Sip throughout the day. Ginger tea has also been shown to help with digestion and ease diarrhea. Although you can buy tea bags this is best made by using fresh ginger. Peel and thinly slice 4-6 pieces of ginger and bring to the boil in 2 cups of water. Simmer for 10-20 minutes depending how strong you like it and serve either plain or with a dash of lemon or lime and if preferred a small amount of honey. Another diarrhea remedy is camomile tea which not only eases diarrhea and inflammation but it is also anti-spasmodic and so helps combat abdominal cramps. For more information about how to spot dehydration and how to keep hydrated when you have diarrhea which is extremely important see this article. 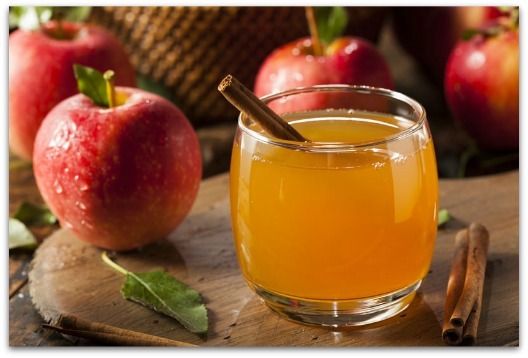 If you are looking for a home remedy for diarrhea then try apple cider vinegar. It works against your diarrhea in three different ways. Vinegar prevents the growth of microbes and that is why it is used as a food preservative. Some people feel that this inhibitory action can help you overcome an intestinal infection which is causing you to have diarrhea. Organic apple cider vinegar which contains the 'mother apple' helps to replenish good bacteria which can be lost during a severe bout of diarrhea and may help you fight present and future infections. The high level of pectin in apple cider vinegar is said to help soothe the irritated gut and it is known that pectin does help loose stools to firm up. If you wish to try this diarrhea remedy then add 1-2 tablespoons of organic cider vinegar (which is cloudy and still contains the mother starter) such as Bragg's to a glass of water and drink 3-4 times a day, a teaspoon of honey is optional. Goldenseal (hydrastis canadensis) is a herb which is native to the north eastern parts of the United States and south eastern Canada and was traditionally used by many native tribes to treat a range of conditions. It contains a compound called berberine which has been shown in laboratory tests to kill many kinds of bacteria and fungi especially those that cause diarrhea. These same tests have not been done in humans but many people swear by the antibacterial and anti-inflammatory properties of this traditional diarrhea remedy. This is a short term treatment for diarrhea to be used if you are suffering from an intestinal infection and should not be taken long term as it can affect the absorption of B vitamins and iron. Do not give to children and infants and do not take if you are pregnant or breast feeding. Do not take if you have liver disease, high blood pressure or heart disease. 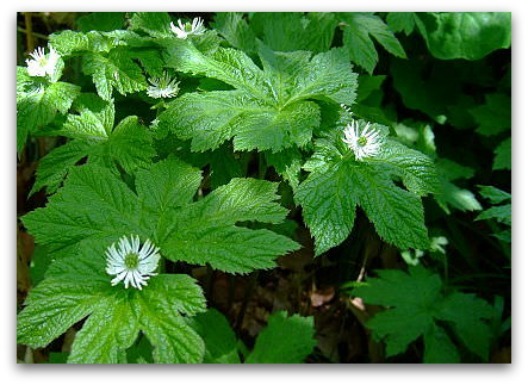 Always check first with your doctor or pharmacist if you are taking other medications as goldenseal can be quite potent and interact with other medicines but if you are looking for one of the herbal remedies for diarrhea then this is definitely worth using. As we have already mentioned pectin soaks up fluid and it also helps to slow down the passage of stools through the gut so it is one of the great natural remedies for diarrhea. Bananas and applesauce are high in pectin and so the BRAT diet consisting of bananas, rice, applesauce and toast is a good diarrhea remedy. Do not however drink apple juice, as juices are high in fructose which is not restrained by the fiber found in whole fruit. This is not good for your digestion. Pectin is a good home remedy for diarrhea and can be made from foods that you may already have in the store cupboard. For more information about the details of the BRAT diet and how to soothe and rest your intestines if you have a bout of acute diarrhea see this article. Carrots also have good levels of pectin and can be added to your diarrhea remedy list. Make a thick homemade soup or puree with cooked carrots whizzed in a blender with water and have some every hour until you feel better. 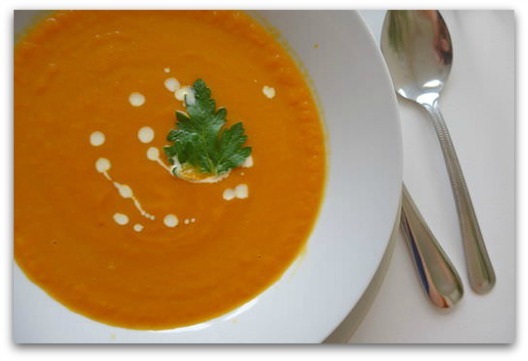 Even better is a french carrot soup called Potage de Crécy which is thickened with rice. Here is a recipe from the New York Times. Our large intestines contain a huge colony or microbiota of friendly bacteria. These bacteria help to protect us against infection. If this colony is not very diverse or not very healthy then this makes us more prone to gastroenteritis when bad bacteria can take over and make us ill resulting in diarrhea. Not looking after our friendly bacteria is a bit like having a castle and leaving the drawbridge down, the gate open and no sentries on guard duty! We all have a base of friendly bacteria that we got from our mother when we were born and also from the environment that we were brought up in but we can enhance this base by taking probiotics whether in the form of supplements or by eating probiotic foods that have live bacteria in them. These types of traditional foods like live yogurt, aged cheeses, sauerkraut, kefir and others have been used as natural remedies for diarrhea for generations. Unfortunately as more and more of us live urban lives we don't come into contact with as many microbes as our ancestors used to and so the diversity of bacteria in our guts is not always the best. It has been shown that taking good quality probiotics can shorten a bout of diarrhea and we are less likely to get diarrhea in the first place if our gut flora is healthy. Another way to keep our guts healthy is to include prebiotic foods in our diet. These foods include special plant fibers which cannot be digested by us but which provide food for our good bacteria helping them to survive and thrive. Some probiotic supplements include prebiotics like FOS and Inulin in them which is good but I find that eating prebiotic foods like, leek, onions, garlic, scallions/spring onion, celery, lentils, cabbage, asparagus and others works even better. So for a great diarrhea remedy stock up on probiotics and prebiotics and make sure that the sentries are on guard duty and that they are well fed so that they can do their job of protecting us from infection. For other benefits of probiotics see this article. Well that may not be entirely accurate but a bottle of black seed oil was indeed found in his tomb when it was excavated. The black seeds in question come from the plant Nigella sativa and they have long been a traditional remedy for the prevention and treatment of many different ailments because of their antibacterial, antiviral, anti-inflammatory and anti-fungal properties. Although this traditional remedy has been known about in the East for thousands of years scientists are only just beginning to realise its potential. 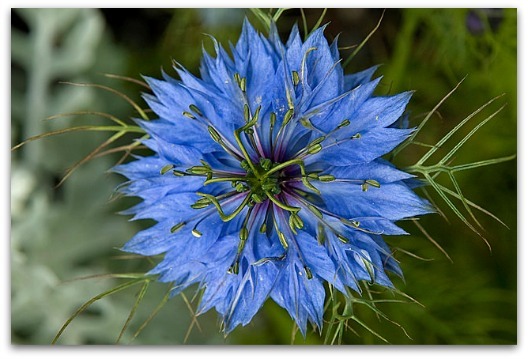 A review of scientific studies has shown that the black seeds of the Nigella sativa plant and their oil can help heal ulcers, reduce inflammation in the gut, reduce diarrhea even in those suffering from inflammatory bowel diseases, treat candida overgrowth and kill parasites and worms. In fact this scientific review actually called Nigella sativa a 'miracle herb'. The black seeds of N. sativa are not only one of the best diarrhea remedies which heal the gut though. They have helped many people with a range of problems including diabetes, high blood pressure, asthma, arthritis, memory and there is even some evidence for its anti-cancer properties. A common way to take black seed oil as a diarrhea home remedy is to mix a teaspoon with some yogurt. Do not take if you are pregnant or nursing and take advice if you are on other medications especially for high blood pressure. When we have an acute attack of diarrhea it is tempting to reach into the medicine cabinet but a more natural diarrhea remedy can be better for our body and even have long term benefits. If you have chronic long term diarrhea then you may need additional diarrhea remedies than those we have mentioned here. It is important that you see a medical professional for a diagnosis but if for example you are told you have irritable bowel syndrome then please see read this information about IBS treatment options. If you have diverticulitis then see this article about diverticulitis treatment. DiarrheaNurse hopes that you are soon recovered but if your diarrhea does not clear up within three days then please contact a doctor. You should act sooner if your baby or child has diarrhea or you are dehydrated or notice blood. If not then think about trying a diarrhea remedy that your grandma would have recognized!